Research from Midway Chevrolet on the 2013 Chevrolet Volt can be viewed below the video. How did Midway Chevrolet manage to gather this information? By speaking to the top automotive writers in the U.S.. To make cognizant decisions when it comes to your next Chevrolet Volt purchase, don't guess! Each article is bundled with facts and Volt features in way that's easy to understand. Watch the video below or skip it to get the Volt review. 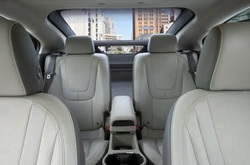 By examining the 2013 Chevrolet Volt side-by-side with the 2013 Hyundai Sonata Hybrid, Nissan Leaf, Ford Focus Electric and the Toyota Prius, and you can discover that the Volt ranks above those autos in many zones. Take a look at the hightlights below. Your Chevrolet should be treated properly - that means Chevrolet factory- trained Volt technicians, real Chevrolet parts, and the satisfaction that comes from a 12-month service dealer warranty. Midway Chevrolet service and auto repair in Phoenix is a click away! 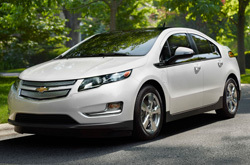 The experts at our AZ Chevrolet service center can be trusted to keep your Volt in tiptop condition for years to come. For ordinary oil changes and other Chevrolet services like tire fixes and fuel filter replacement, come to us. We even work on hard operations with finesse, including jobs like electronics repair. Midway Chevrolet is your best choice in Phoenix for fast, professional Chevrolet Volt repairs and regularly scheduled maintenance. The next time you stop by our service department, take a coupon! Proceed and click the link at bottom for specials.